‘A Mitigation of Noise’ is the fourth collection of essays by artist Gary Llama. 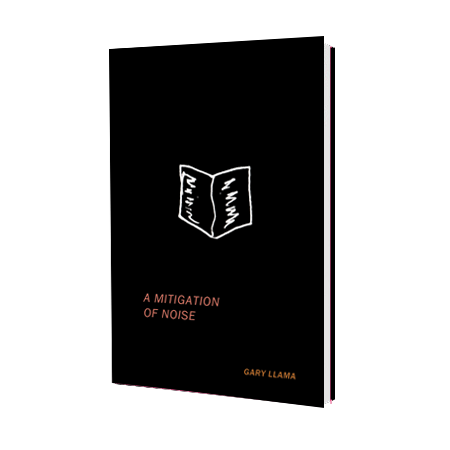 A Mitigation of Noise’ is a collection of essays by artist, Gary Llama. The book, his fourth book of essays, contains ten essays covering a variety of topic from a pserepctive of personal reflection-influenced sociological thought. Told from the perspecctive of someone part of radical counterculture, the essays weave though personal ethics, thoughts on parenting, small insights into life, and thoughts on the 2016 election, and more deeply about the presidents popularity as a reaction of modernism.